Dr. Nakada is certified by the American Board of Urology. He is an internationally renowned expert in urinary stone disease (urolithiasis) and minimally invasive urology. In 1997, he performed and reported the first hand-assisted laparoscopic nephrectomy, in the United States, using a sleeve. In 2001, he was named Chairman of the Division of Urology and the first David T. Uehling Chair and Professor of Urology. In 2008 he became the founding chairman of the Department of Urology at the University of Wisconsin and continues in that role today. In 2003, Dr. Nakada became the 15th Dornier/A.F.U.D. Award Winner for Innovative Research in Urology and in 2004 he was awarded the Gold Cystoscope Award from the American Urological Association. Dr. Nakada has served on both the Staghorn Stone Guidelines Committee and the Distal Stones Guidelines Panel of the American Urological Association and in 2017 he received the Distinguished Service Award from the American Urological Association. He has been listed in Best Doctors in America since 1998, as well as Castle Connelly’s Top Doctors and Madison Magazine’s Top Docs. Dr. Nakada has authored 235 scientific articles and 50 book chapters and he has edited nine textbooks. He has served on the ABU/AUA Examination Committee and the editorial boards of Urology, and he currently serves on the boards of the Journal of Endourology and Urology Times. Dr. Nakada is an active member of the American Association of Genitourinary Surgeons and the Clinical Society of Genitourinary Surgeons, among other societies. 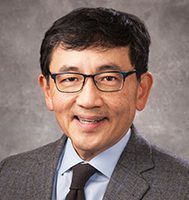 Dr. Nakada is Past President of the Wisconsin Urologic Society, the NCS/AUA, the Society of Academic Urologists, the Endourological Society and the ROCK Society (Research on Calculus Kinetics). He is currently the President of the American Board of Urology. Dr. Nakada’s research focuses on pathophysiology of the ureter and all aspects of urinary stone disease. His research is currently supported by the American Urologic Association.